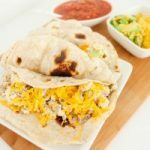 Few can deny the love of a hearty breakfast burrito in the morning, but it’s one of our favorite staple quick and easy dinner meals, so it’s hardly ever eaten in the AM at the Duke Home. We almost always have all of the ingredients, and everyone in the family loves eggs, and it’s great protein, too! You can go meatless if you’d like, but we love ground sausage in ours. Today, I’m part of a Family Dinner blog hop, which I love because this is something I’m constantly thinking about! For this meal, I almost always have everything on hand, and we seem to have a variation of this dinner once a week. When we do, there are literally cheers from my kids! 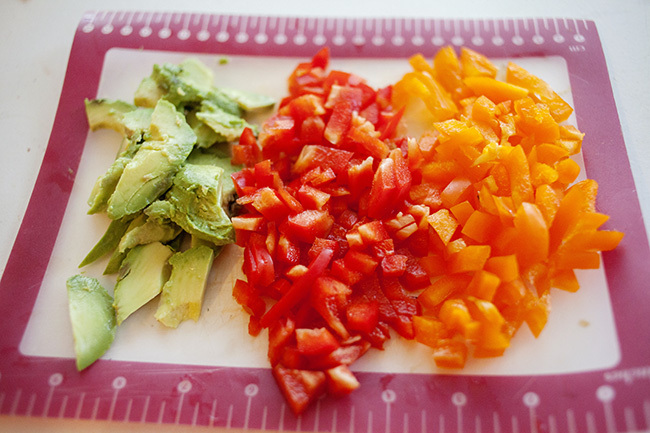 We’ve got salsa, cheese, avocados, and peppers generally around, too, and those serve as toppings. Great thing about this meal, is I throw everything into ONE PAN, so clean up is easy! First, I brown the ground sausage, then I add 2 eggs per person, along with chopped peppers. 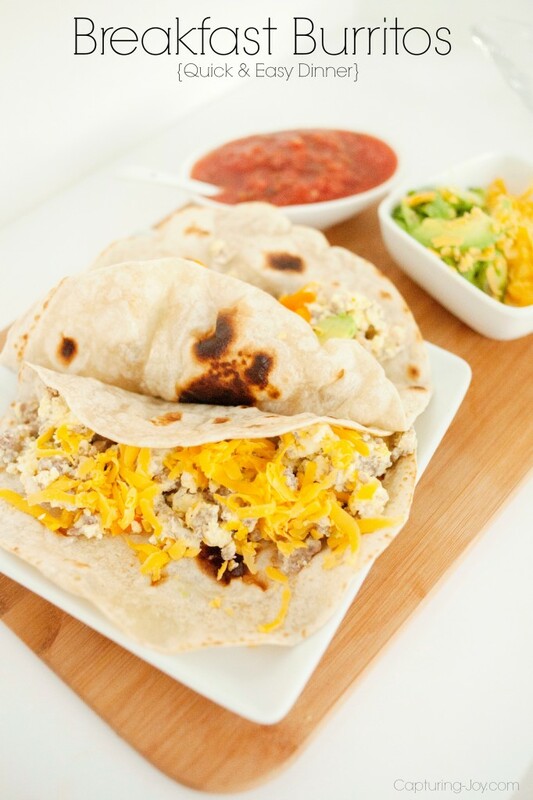 This breakfast burrito meal is a hearty breakfast, but also a quick and easy dinner idea. Crack 12 eggs plus milk into pan, or whisk in bowl ahead of time. Add egg mixture to sausage in pan. Add chopped peppers at the same time. Cook 5 minutes until eggs are scrambled. 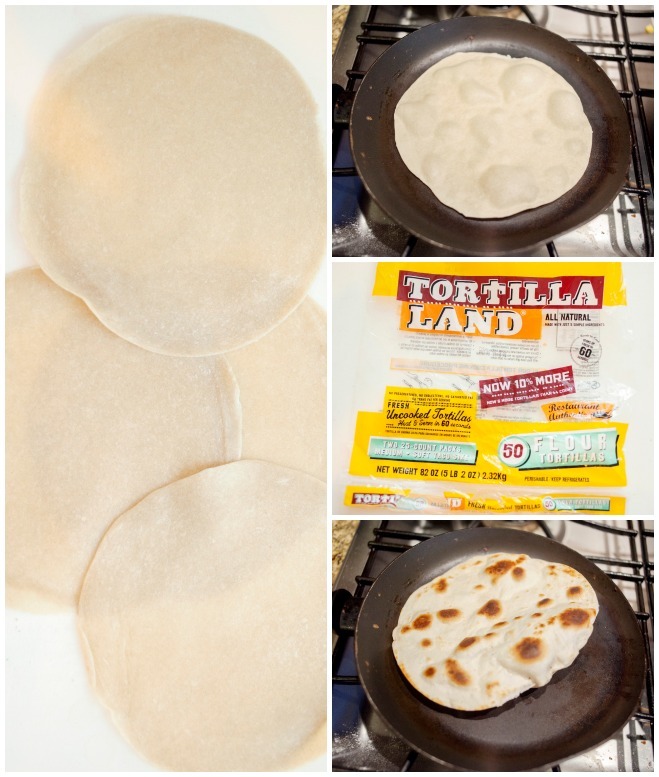 Meanwhile, warm homemade tortillas, grate cheese. And there you have it! A quick and easy dinner idea.